The Dashboards interface makes it easy to visualize the thousands of metrics VividCortex collects about your application’s queries, database, and infrastructure. Dashboards are simple to create and share, and have features such as chart captions that help make it easy to share knowledge and best practices. For more information about the metrics these charts are based upon, see our metric categories reference doc. VividCortex also integrates directly with Grafana through our downloadable Grafana plugin, allowing you to view any of our thousands of metrics in the same dashboard your team already uses. For more information about getting started, check out our Grafana GitHub repo. 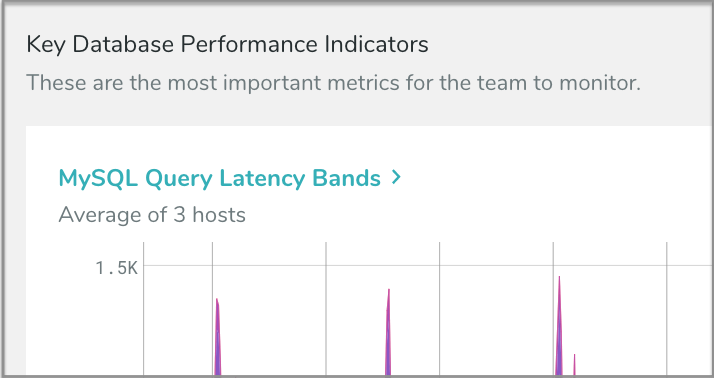 We’ve included in VividCortex a set of the most commonly-used Charts and Dashboards, covering the most important key metrics for both database and system performance. A complete list of pre-built Dashboards is below. Use the filter to search both annotations and the chart titles. You can sort by Name or by Last Updated. To create a new Dashboard, click “Add New Dashboard” in the top right corner. You can either create a new blank Dashboard, or use one of the VividCortex templates. Dashboards that you create will appear down the left side of the screen, along with the VividCortex templates. To edit a Dashboard, select the Dashboard from the left hand nav and click “Edit” in the top right corner of the screen. This will open the Editing view. While in Edit mode, you can add content to your Dashboard and Preview how it will look. You can also Delete the Dashboard from Edit mode. Changes are not automatically saved, so click “Save” to keep the changes you’ve made. You can click “Close,” or leave the page, to discard changes that you’ve made. The app will warn you if you close Edit mode or leave the page without saving. Your Dashboard can have a title and a description. These are automatically the first two lines of the Dashboard’s source text. Optional Chart Description. Help viewers understand the chart. There are two options for Charts: pre-built Charts created by VividCortex for key database and system metrics, and user-defined charts built using VividCortex metric names. Using the VividCortex charts allows you to build a custom Dashboard quickly, while creating a custom chart will let you see any of the thousands of metrics we collect. When you type !chart( a list of chart names will appear. Type to search for the chart you need, and then press Enter. It will auto-complete for you. Note that you can only see a chart broken down by host if the chart has one metric. When you type !chart(metrics=[ a list of metrics will appear. These will autocomplete as well. 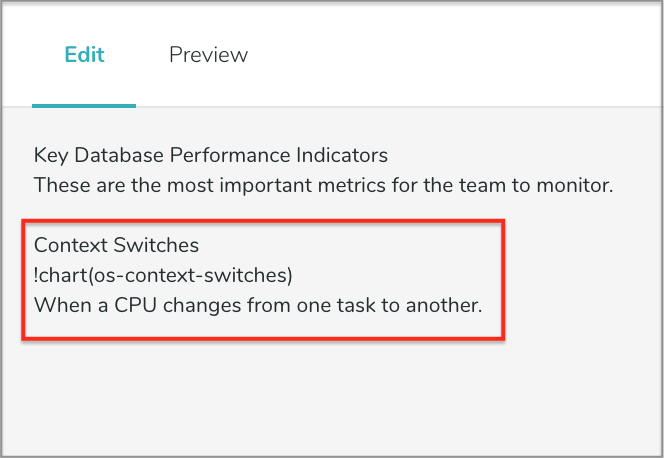 To search the list of Metrics collected in your environment, visit the Metrics page, or consult our Metrics documentation. 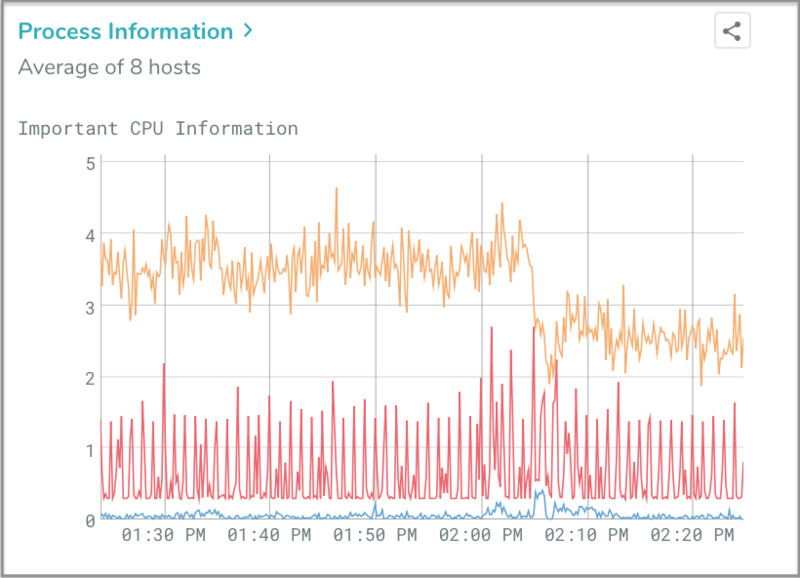 Like with the pre-built Charts you can also see a VividCortex metric visualized with one-line per host. To see a breakdown by host, your chart must contain only one metric. Up to 10 hosts can be charted in this way. All of this information can also be found in the application by clicking “Guide” while editing a Dashboard. There you will find samples which you can copy and paste into your own Dashboard. 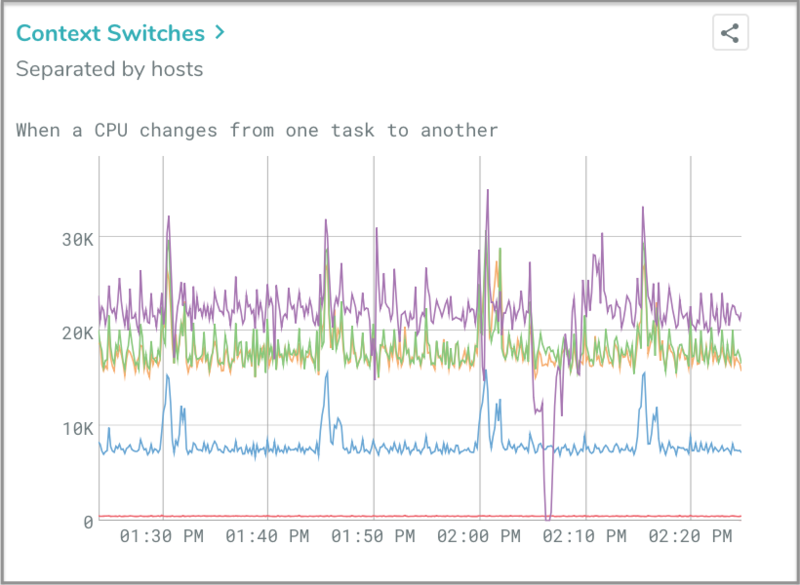 CPU CPU utilization, context switches, and processes running, and others. Disk Disk latency, disk space, and I/O operations, and others. InnoDB InnoDB engine data, such as transaction metrics, buffer and cache data, and data operations. Machine View OS and database metrics (MySQL, PostgreSQL, and MongoDB) with multiple hosts on one chart. Memory Memory usage, swap usage, and swap activity. MongoDB The complete set of MongoDB charts, including latency and MongoDB internals. 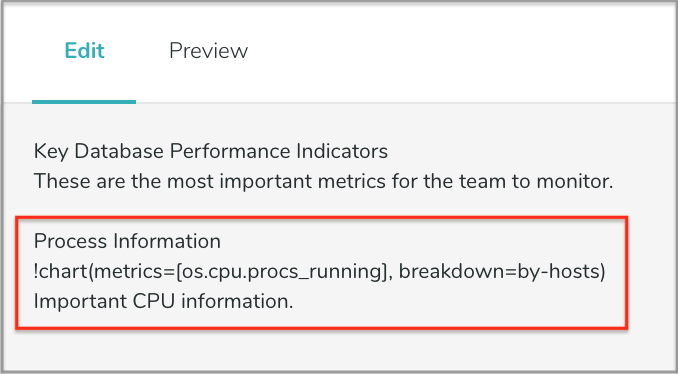 MongoDB KPIs Key MongoDB metrics with descriptions, such as latency, cursor operations metrics, cache activity, and latency. MySQL The complete set of MySQL charts, including latency and MySQL internals. 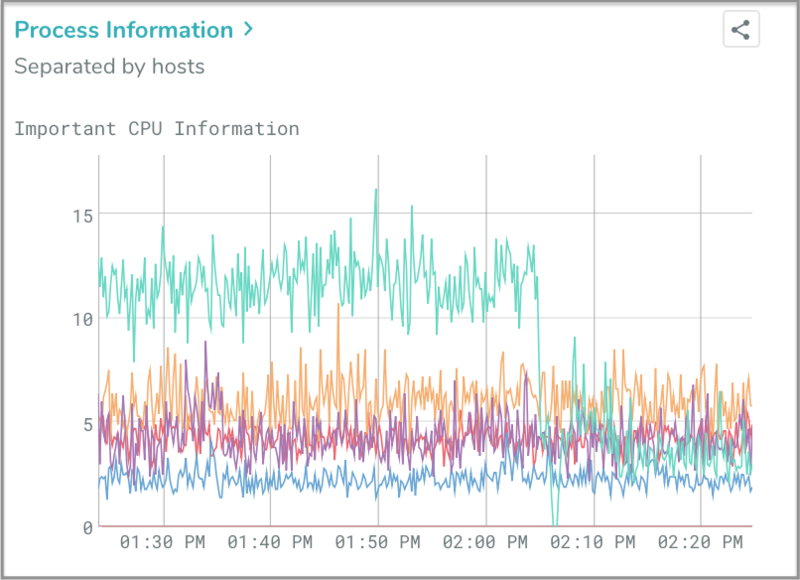 MySQL CloudWatch CloudWatch metrics for your RDS for MySQL instance. Network Bytes sent and received, packets sent and received, and connection states. PostgreSQL The complete set of PostgreSQL charts, including latency and PostgreSQL internals. 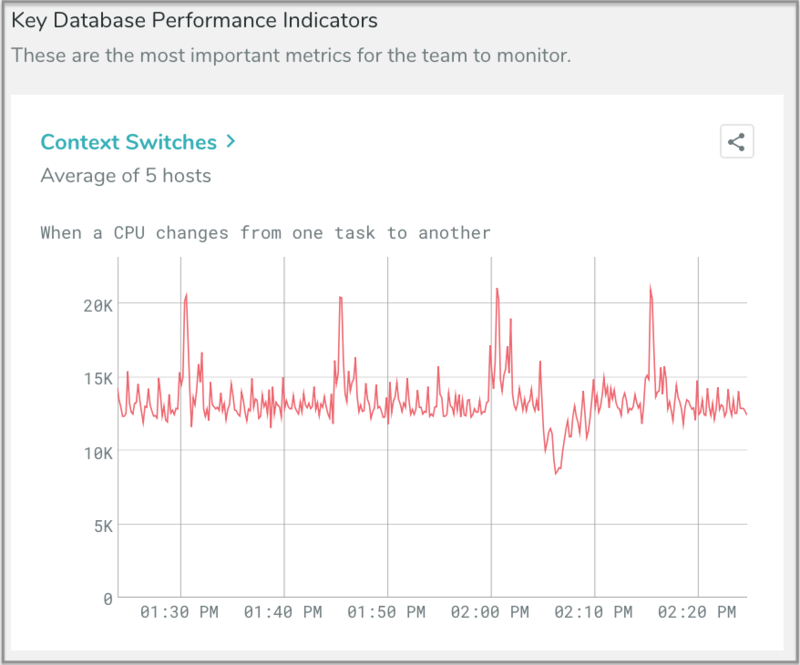 PostgreSQL CloudWatch CloudWatch metrics for your RDS for PostgreSQL instance. PostgreSQL KPIs Key PostgreSQL metrics with descriptions, such as latency, buffers, lock and vacuum information, and cache data. Redis Redis latency, commands, connections, keyspace, RDB, and other metrics. VividCortex integrates directly with Grafana through our downloadable plugin. To get started, download the plugin here.